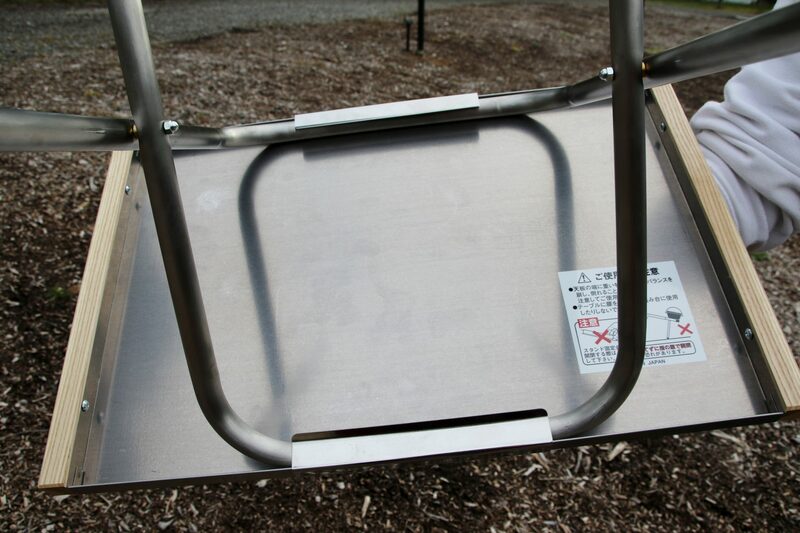 If there was one camping accessory that we’ve tried a number of over the years, tables would be high up on the list. 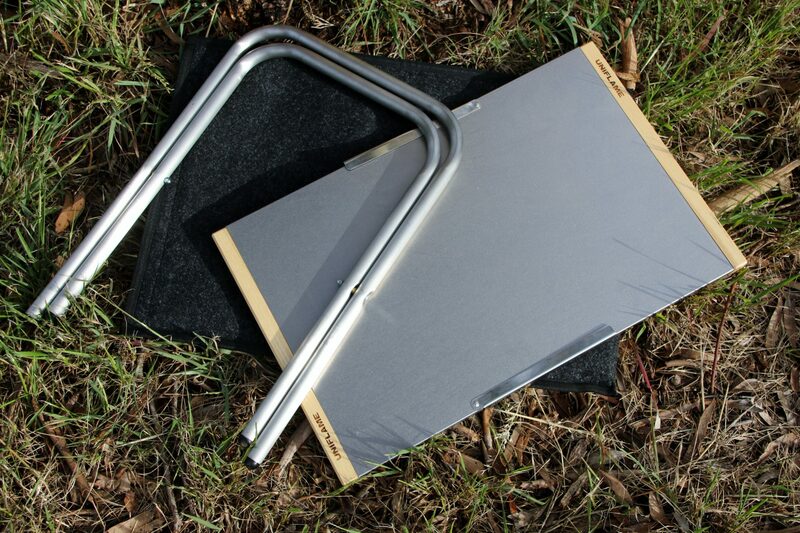 You name it, we’ve tried it…plastic and aluminium, and we even tried timber in those early days of travelling. 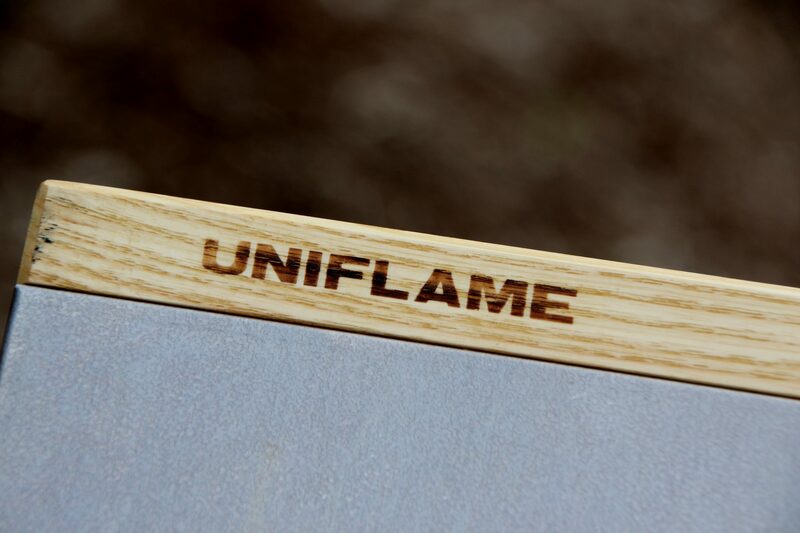 After being introduced to the Uniflame Campfire table, we were eager to try something new. This table is similar in size to a camping coffee table, measuring 550mm wide x 350mm deep x 370mm high. It’s made from thin sheet steel and has decorative timber edges, and the legs are of aluminium construction which fold up and neatly store on the underside of the table. The stainless steel top could give you the impression it’s going to be heavy, but its overall weight is surprisingly light at only 2.3kg. To see how this table performed, we used it daily during two months’ travel. What we soon found was this nifty table came in very handy and became our “go to” table around camp. It not only looks stylish (as far as camping tables go), the timber edges help keep the table rigid. Despite its compact size and weight, the table was strong and sturdy without any sharp edges, and took only seconds to set up and pack up thanks to its all-encompassing design. But what we really liked was its versatility. 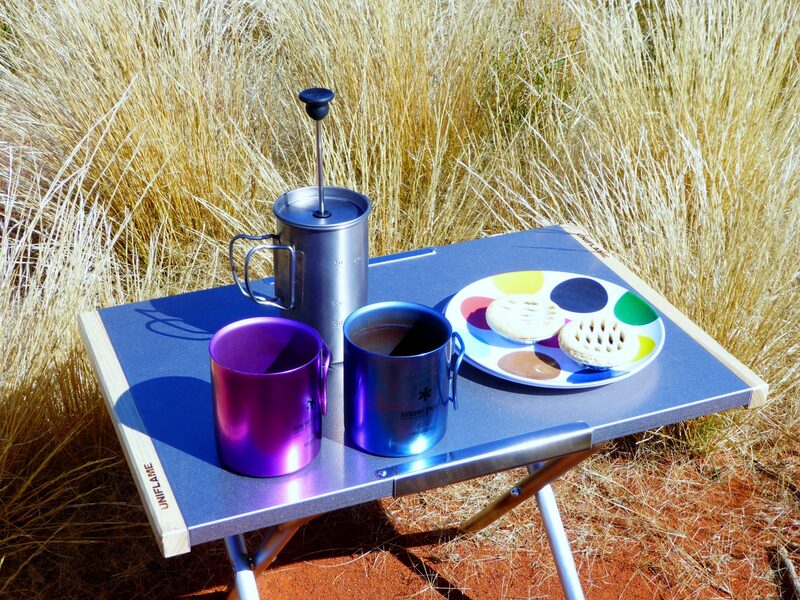 We used it around camp to place the usual drinks and nibbles on, but loved the fact we could place hot dishes such as a saucepan, frypan or camp oven on it. Unlike our other tables we were travelling with which have plastic tops, we found it quite a novelty to be able to place the dishes directly onto the table’s stainless steel top without leaving scorch marks. Our previous experience with small lightweight tables wasn’t great due to their instability, but we had no problems with this table standing up to what we required. Its compact size meant we weren’t stuck for somewhere to store it while travelling, and we took up the option to store it in a carry bag to help protect it. One simple minor improvement could be a shoulder carry strap added to the bag – this would enable the table to be easily carried anywhere we go while keeping your hands free. So will this table go the distance and avoid being relegated to our shed? While only time will tell, but if early indications are anything to go by, its versatility and outstanding performance sees it far from being an average table, and a likely regular travelling companion. For more details, check out the video.